Founded in November 1991, Autobahn Services Inc. is an independent Porsche® facility and authorized Bosch Service Center. 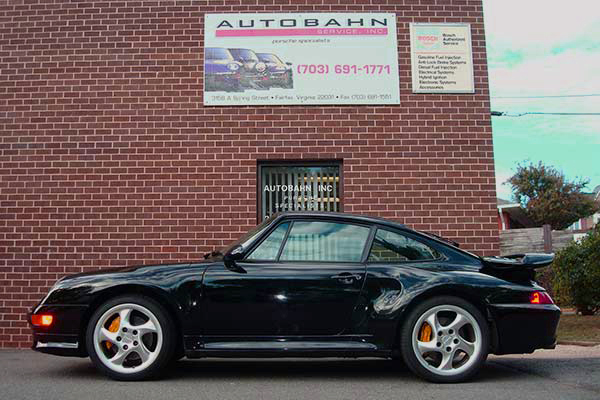 With over 45 years of experience, continuous training, extensive Porsche & Bosch factory tools and diagnostic equipment we stand ready to maintain or repair any Porsche, from the classic to the latest model. Twenty-four months or twelve-thousand miles service warranty on parts and labor. A personalized approach, with one-on-one relationship with the same person who works on your car. Free consultation for effective, reliable approach to service performance problems. Evaluation of all repair or modification to determine the long-term value. © 2017 Autobahn Service Inc.
Porsche® is a registered trademarks of Dr.Ing.h.c.F.Porsche AG.